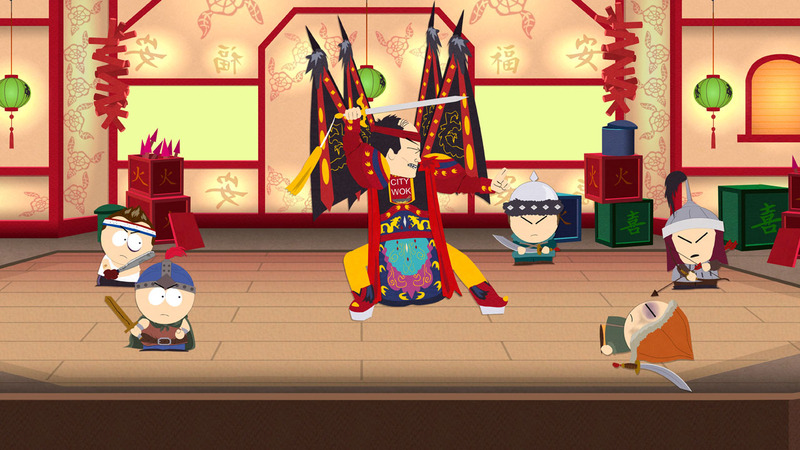 South Park is no stranger to video game adaptions, but it is a stranger to good ones. Since the construction paper adult cartoon series debuted in 1997, there has been a whopping five video game adaptions. Unfortunately, none have been any good. Three were released in the late nineties: the titular N64 game was a FPS for whatever reason, Chef’s Luv Shack was an unfortunate minigame collection carrying an off-putting name and South Park Rally was a mediocre racing game that again didn’t make sense. Perhaps series creators Matt Stone and Trey Parker got tired of their brand being used on bad games as there was a nine year gap until South Park Let’s Go Tower Defense Play on XBLA, the best adaption of the series to date. 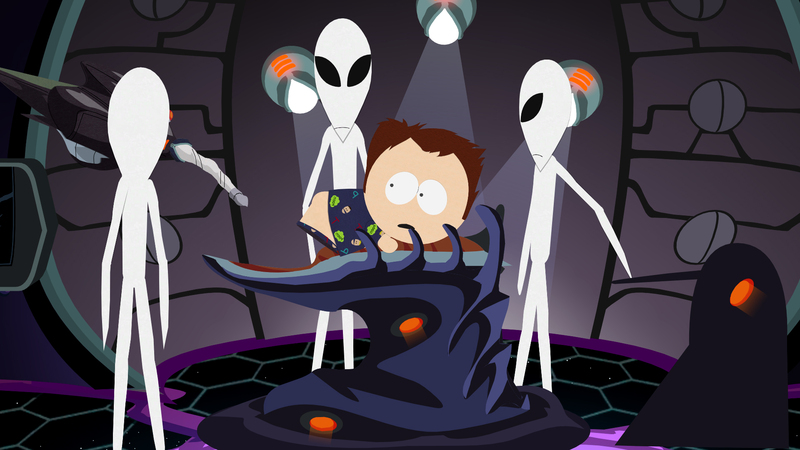 Sadly, that luck didn’t carry forward as we got the awful South Park: Tenorman’s Revenge just two years later. 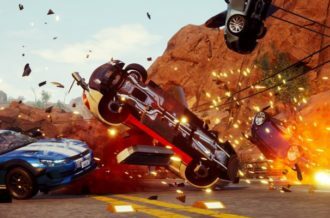 Instead of giving up, however, the keys to the kingdom were given to one of the most competent developers in the business today, Obsidian Entertainment. With Matt and Trey helming the writing and the Fallout/Knights of the Old Republic sequel designers doing the programming, how could anything go wrong? In South Park: The Stick of Trurth, players take on the role of a young boy who just moved to South Park. While Cartman lets you choose his name, he unfortunately disregards it in favor of calling you “Douchebag.” Douchebag’s parents are sticklers and force him to go make some friends. Unfortunately, the first person Douchebag runs into is Butters and instead of playing Call of Duty like a normal eight-year-old, he is quickly thrust into an epic quest to become a cool. 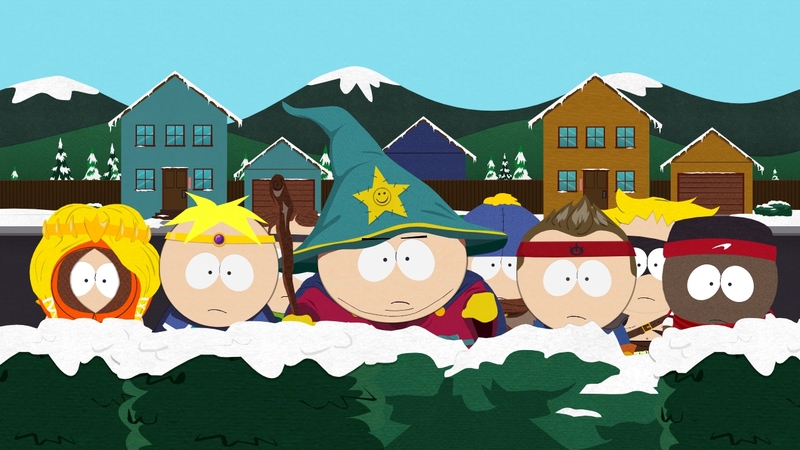 Much like the “The Return of the Fellowship of the Ring to the Two Towers” episode of South Park (and subsequent three episode promotional arc that aired late last year), Stan, Kyle, Cartman, Kenny and friends have assumed fantasy roles and man Kupa Keep in an effort to protect the Stick of Truth. You see, this is no ordinary stick, but one that allows whoever wields it all of the power in the universe. As such, there are multiple other factions after it and soon the stick is stolen. Because he’s incredibly desperate for friends, Douchebag joins the gang and sets out to reclaim the stick, falling into multiple other adventures along the way. Besides involving the main four kids, numerous ancillary characters are also featured. There’s Scott Malkinson, Kevin Stoley, Craig Tucker, Mr. Mackey and even Mr. Slave. Some of the characters are part of the main story, while others are encountered through exploring the town. Of course it wouldn’t matter how many characters were stuffed in the game if it weren’t funny, so thankfully, this is one hilarious game. It feels like a multi-episode story arc of South Park and manages to tell a self-contained non-pop culture referencing story and remain funny all the way through. There are a lot of lines that will get smiles and quite a few scenes that will have you belly laughing. Smartly, quite a bit of the humor involves picking apart video game cliches. One area, for instance, has you finding audio logs that feature a man blatantly referring to their irrelevancy. While I could fill this review with some of the side-splitting quotes, just take my word for it and try not watch any videos that will spoil the fun. Of course, unlike all of the aforementioned South Park games, The Stick of Truth is a bonafide RPG and features gameplay completely removed from its predecessors. Combat is turn-based and features critical timing as the major fighting conceit. Basically, every attack needs to be perfectly timed for maximum effect as substantially missing can backfire and damage your squad. This occurs by the weapon flashing at a pre-determined time when either A (for a normal attack) or X (for a power attack) must be pressed. Defending uses the same method. It’s challenging to get a hold of at first, but eventually makes battles more entertaining than if they featured automatic attacks. What powers will be at your disposal is dependent on which class you choose, which include Warrior, Mage, Thief and Jew. I chose the Jew class (as I suspect most will) and it brings with it traditional Jewish garb including a kippah, tallit as well as a cane as a weapon. 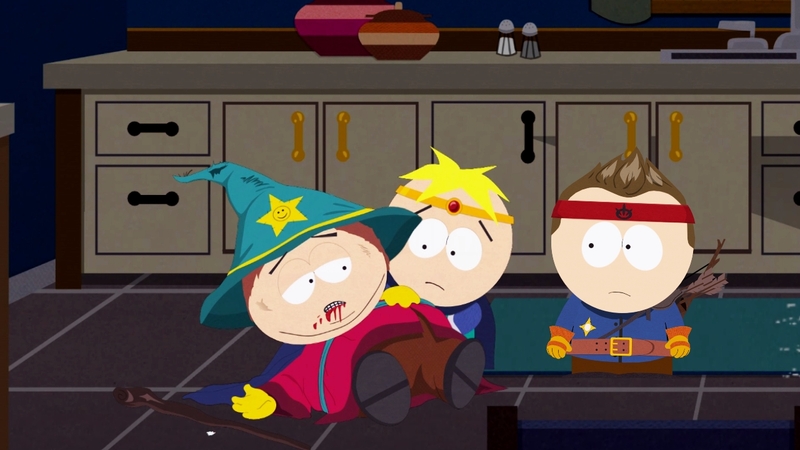 It’s funny for Cartman to take costuming this far, as at least Kyle (part of the same “class”) got to dress like a Paladin. No matter which class you choose, battle allows you to either perform a melee attack, ranged attack, use a special ability, item or fart. Different forms of attacks are more strong against different defenses. For instance, you’ll want to use arrows if an enemy is an a riposte stance. 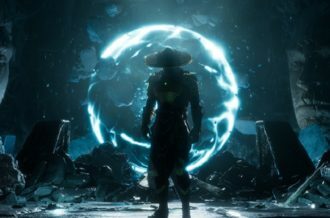 If they’re in a reflect stance, however, you’ll want to use melee; so there’s a fair amount of strategy that needs to be constantly implemented. Special Abilities vary based on the selectable classes and require various QTEs to execute. One item can be used each turn (including things like health and ability boosts) before attacking and need to be relied on to stay alive, less you spend a few hours grinding. Oh, right, let’s talk about that farting part. By either hitting the Y button while attacking or choosing one manually, one of four farts can be used in battle. These mana-utilizing attacks are surprisingly effective and can deal quite a bit of damage — just never fart on your enemies’ balls, as that’s totally not cool, bro. The shocking thing is just how good everything looks. Matt and Trey didn’t want to do the game unless it mirrored the show, resulting in The Stick of Truth truly looking like an episode of the series come to life. Everything is presented from a 2D viewpoint and features as much depth as the environment lends itself to. It’s one of those things that doesn’t really seem possible until you actually get your hands on it, upon when it becomes surprisingly natural. After all, a sidescrolling RPG is no easy feat, so Obsidian should be applauded for putting the effort into making it work. Most of the game takes place in the town of South Park, which is a bit smaller than it needs to be, but the geography is well-replicated. There’s the school, police station, neighborhoods, church and more. 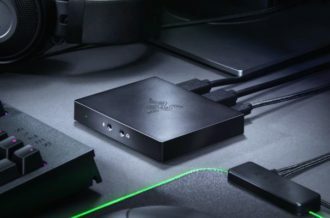 Exploring these will not only net you friends and side quests (such as helping Al Gore hunt for ManBearPig) but also reveal thousands of collectible items referencing various events from the show. Expect to find Babyfart Mcgeezax’s tazer, Faith +1’s self-titled debut album, Cherokee Hair Tampons and many more memorable items. Unfortunately, they don’t do much besides make for trade fodder. It would have been a nice bonus if the items would be examinable and had a short, humorous bio written for then, but we instead have to settle for our own memories of the episodes. Production values are quite high in The Stick of Truth. Matt and Trey thankfully lent their talents for all of the characters they voice (which happens to be most of them), and all of the female-voiced roles seem to also have their original voices. Cutscenes look exactly like a clip from the show and are seamless with the gameplay itself. The only issue is that I experienced was persistent incorrect lip-syncing. Oddly enough, some scenes were perfect, so it’s unclear if this is a case of loading times/framerate affecting the experience or if portions of the dialogue have been altered since the animation was recorded. 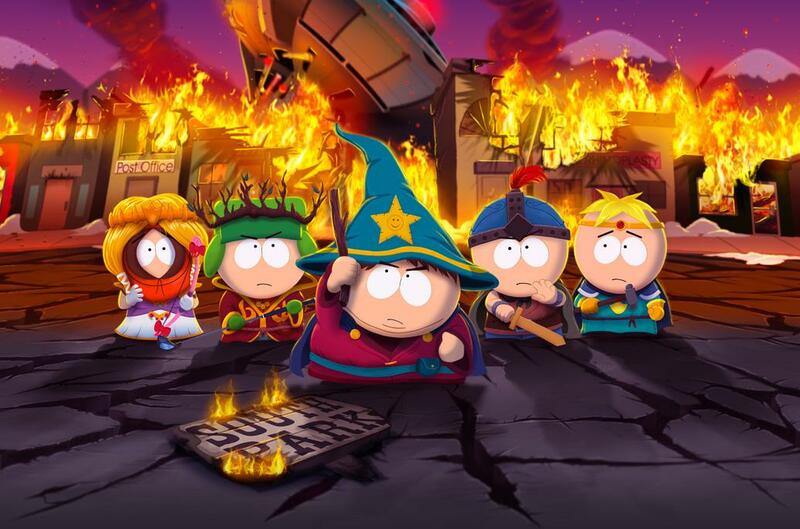 South Park: The Stick of Truth is as close as coming to playing an episode of the show as we’re ever going to get. 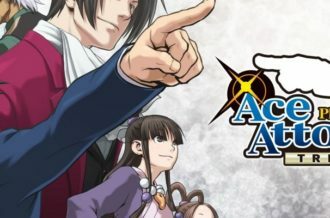 The humor is consistent with some of the show’s best episodes, the visuals are wholly original for a game and the gameplay is surprisingly challenging and rewarding. As much of its humor is dependent on character references, those who aren’t avid viewers of the show probably won’t enjoy it, but you should remedy that if you fall into that category. Everybody else will be in stitches from some great gags and deep references that reward devotees of the classic show. 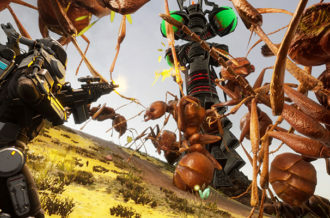 The maps could have been larger and pacing improved, but this is another great accomplishment by Obsidian and the first game to do the classic animated series justice.